Our bronze room is a simple, comfortable and quiet space. It has a design decoration, stylish, perfect for spending long hours of study without distractions, and to rest as much as you need. 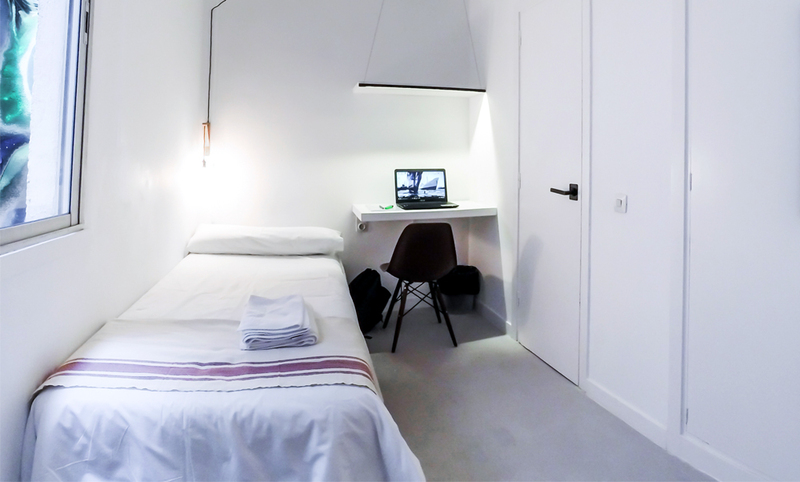 In this room you will have your own private space, it is a room with its own bathroom, with shower, washbasin and WC. The room also has a wardrobe and shelves to place all your personal belongings. It cannot miss a great quality and comfortable single bed (90×200), designed for the complete rest. 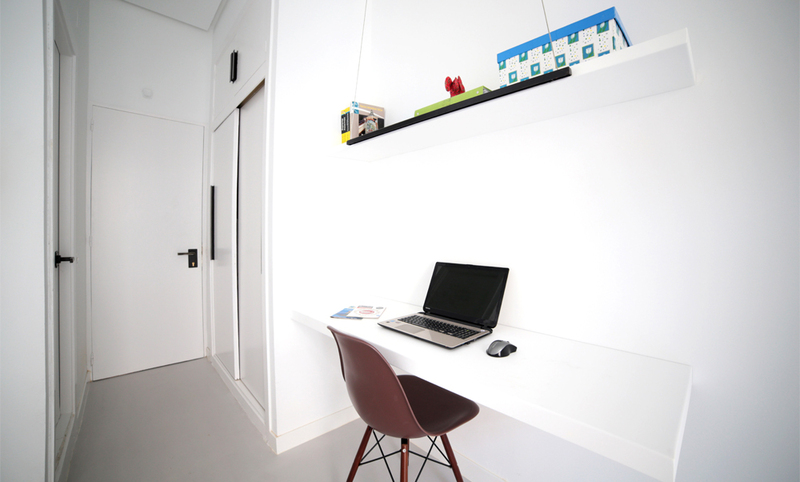 You will have the best quality in terms of rooms in residences, with facilities designed by and for students. All student rooms have interior courtyards, which serve as skylights. In this way, you will have all the natural light necessary to perform your tasks, without any noise or discomfort that may bother you. You will have at your disposal several elements included in the rent of the room.